Retailers are prioritising investment in e-commerce platforms above in-store IT systems as businesses prepare for more high street store closures with the move to online, according to research. The IT in Retail report from consultancy Martec, sponsored by JDA software, analysed the systems strategies of 150 top UK retailers, representing sales of £203bn and 70% of the UK market. While e-commerce has grown 16%, overall sales rose by just 1.5%, suggesting a cannibalisation of high street sales, it said. Brian Hume, managing director of Martec, estimated that this equates to the closure of 40 stores per week, with that figure expected to rise significantly as more people shop online. Department stores expect up to 40% of their sales to eventually come from online shoppers, with other retailers expecting it to consist of around 20% of sales. The research found retailers were prioritising investment in e-commerce platforms above in-store IT for the second year running. “Where stores are spending money upgrading store systems software, a lot of that is about supporting multi-channel retail, such as click and collect. There is upgrade expenditure on application software, but what they are not buying is lots of hardware. Where they are buying new hardware, it is to support e-commerce growth," said Hume. He said certain stores, such as fashion outlets, would increasingly replace point-of-sale (POS) systems with mobile tills in the form of tablets because they have lower investment costs. The average IT spend came to 0.9% of the overall budget – a 0.1% drop from last year. However, the survey found that e-commerce spend was increasingly coming out of other areas of budget for the business. The research also found cloud-based computing is becoming mainstream, with 35% of retailers using one or more application in the cloud, and a further 28% planning to do so. 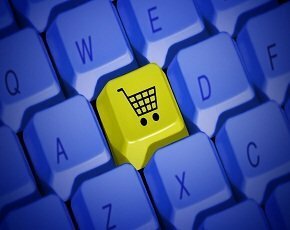 The most important retail application run in the cloud is e-commerce, it said. Around 23% of store-based survey respondents offer free customer Wi-Fi in at least some of their stores and another 12% are planning to do so, it found. Hume said stores deploying Wi-Fi first could get ahead of the game by targeting customers with offers and promotions once they were on the store’s network. But he said the fear for many retailers is that customers would use networks to make price comparisons and shop elsewhere. Hume cited the example of Currys and Comet as highlighting the stakes for retailers: “Both have similar business models in the same market – but Comet went under, while there is no suggestion that will happen to Currys. That’s because Currys got into e-commerce development a whole lot faster and more thoroughly.